“That was absolutely the most brilliant teaching and transmission I have EVER had with anyone. I knew I needed some “sorting out” however you/Metatron … all of it was beyond description and I know my prayers were answered, after a very, very, difficult week. I am truly in awe of your work, and this reunion with Metatron through this transmission had tears running down my cheeks. You are a brilliant Light. I am humbled, honored, grateful, relieved, and feel the pure water of this transmission running through my entire body. Relief, gratitude, love, peace…” Maureen Moss, President, The World Puja Network. “As you brought in the energy, I was able to receive the light and vibrant energy right down through my crown chakra deep into my root chakra…so powerful and so beautiful and gentle at the same time. My breath deepened and filled my entire being with light and ease, never have I felt the breath so deep and throughout my entire body. The light was so bright into my root chakra … I felt the strength and beauty simultaneously fill my entire being connecting all that I have experienced with all that I am…. joy and love. I feel whole, I feel complete; so alive, so awakened and so loved… I have ascended to that beautiful energy of lightness and am feeling so at home. I am excited to expand and evolve as I continue to walk my walk on this beautiful Mother Earth. I look forward to learning more in this beautiful realm of heavenly energy.” Joyce W, Reiki Teacher, USA. 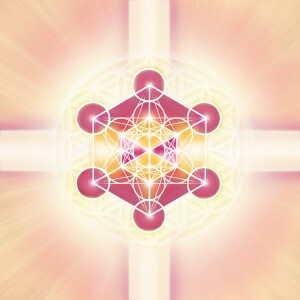 “Three days of intensive Transmission from Metatron along with two ‘group healing sessions’ have been one of the most powerful experiences I have ever had. I can honestly say that it stirred up the sludge at the bottom of my bucket (in the best possible way) and I doubt I will ever be the same again! I spent 3 days wrapped in blankets and feeling safe enough to accept these energies without questioning and knowing deep down inside their purpose was pure. This is an investment in your spiritual journey. I cannot recommend it more strongly.” Jayne Lea – Editor ‘More To Life’ Magazine.